What’s next for American Gothic? Earlier, showrunner Corinne Brinkerhoff spoke with The Wrap about the future of the CBS series. The thriller drama follows a wealthy Boston family who discover that someone close may be a serial killer. The cast includes Antony Starr, Virginia Madsen, Juliet Rylance, Justin Chatwin, Stephanie Leonidas, Gabriel Bateman, Megan Ketch, and Elliot Knight. 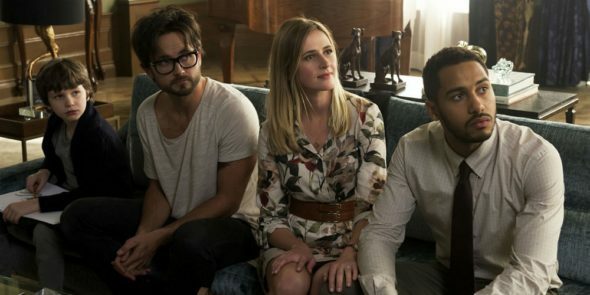 The two-part season one finale of American Gothic airs on September 7th. What do you think? Are you watching American Gothic? Do you think it should be renewed? First time viewer and I love it. But if the network doesn’t renew, well it won’t be the first time this network hasn’t let down it’s viewers. Great acting, good story line and i wish there would be more stories. I hope American Gothic lasts for several more seasons. I was riveted to the television every week to watch it. It was suspenseful and one of the best shows I’d seen in a long time. All the characters were great!!! American Gothic has to have a season two or more…please run it again? Love American Gothic!!!! Plz, PLZ PLEASE CONTINUE THIS SHOW… IT’S AWESOME!!! GREAT MYSTERY, SUSPENSE STORY! Loved American Gothic. And the actors. Bring it back for a second season soon.